An important day we just HAD to celebrate!!!! 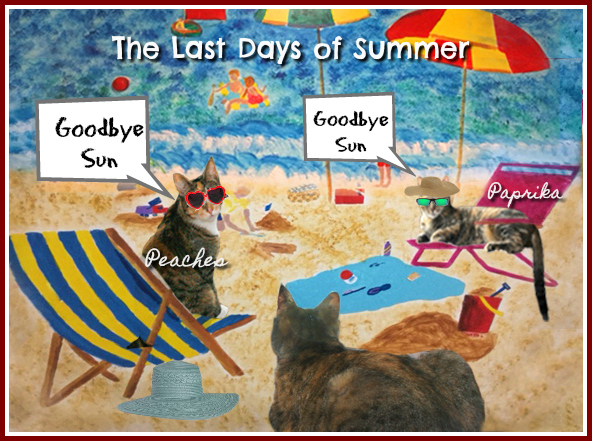 Exciting News for tortie/calico owners! 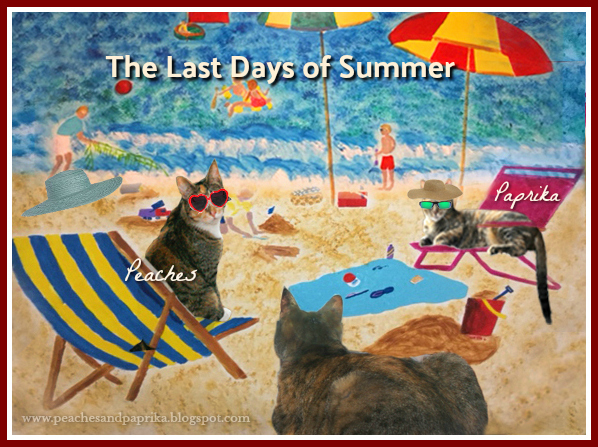 New slideshow on our Facebook page celebrating autumn and honoring Tortoiseshell cats is now being assembled. 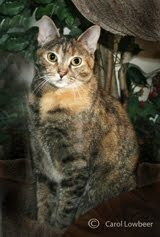 Hope you tortie owners can participate. 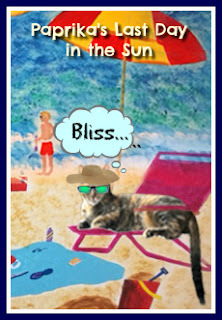 Note our own Mudpie, famous cat of Melissa's Mochas Mysteries and Meows kindly agreed to grace our poster with her beautiful presence. Thanks, Mudpie and Melissa! Here's the link to our FB page & hope to see you there!!! Happy autumn to all! 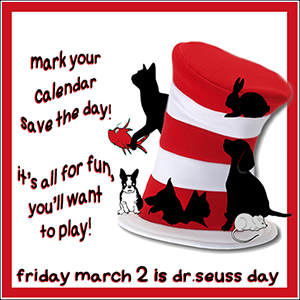 In addition to what's written on the FB page above , you are welcome and invited to include your blog name along with kitty's name! Also please LIKE our page while you're there if you haven't already. 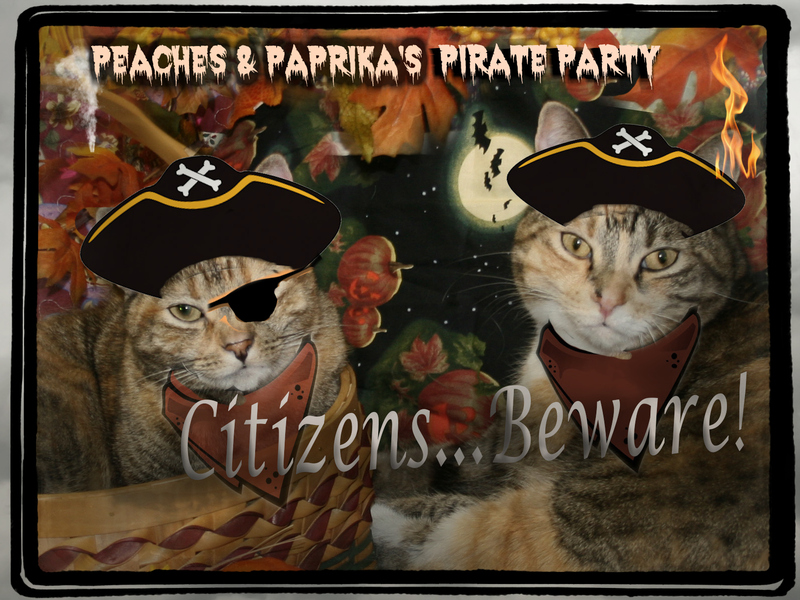 First 50 Torties who enter will be in a special slideshow. We have 20 already! Deadline September 22. 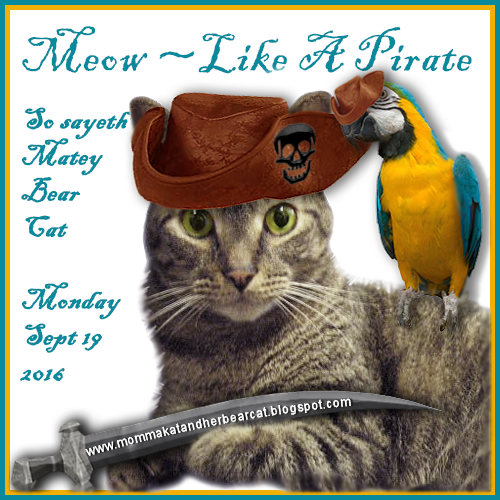 Joining Cat On My Head's Sunday blog hop today!! Alas, Our human fell in love with black & white this week so our lovely Peach colors are just a memory. 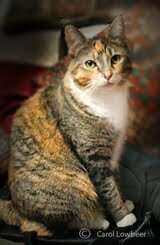 Paprika: I want you to know that Peaches was very discourteous to me when we were looking out the window this week. So I swatted her one. Do you blame me? 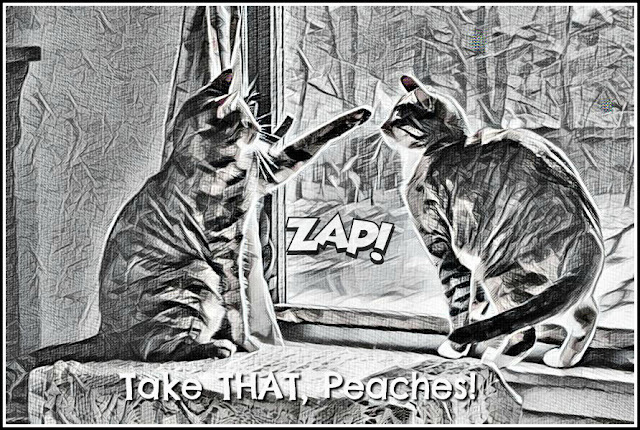 Peaches: I don't have to takin NOTHIN' from you, squirt. Check out the angle of my beautiful pointed tail. Bet YOU can't do THAT! Paprika: I can do that and MORE. 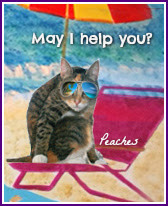 I think my sister Peaches is a "spoil-sport." Just stalking off like that when things don't go her way. As usual. I have more plans for her. Tune in soon. 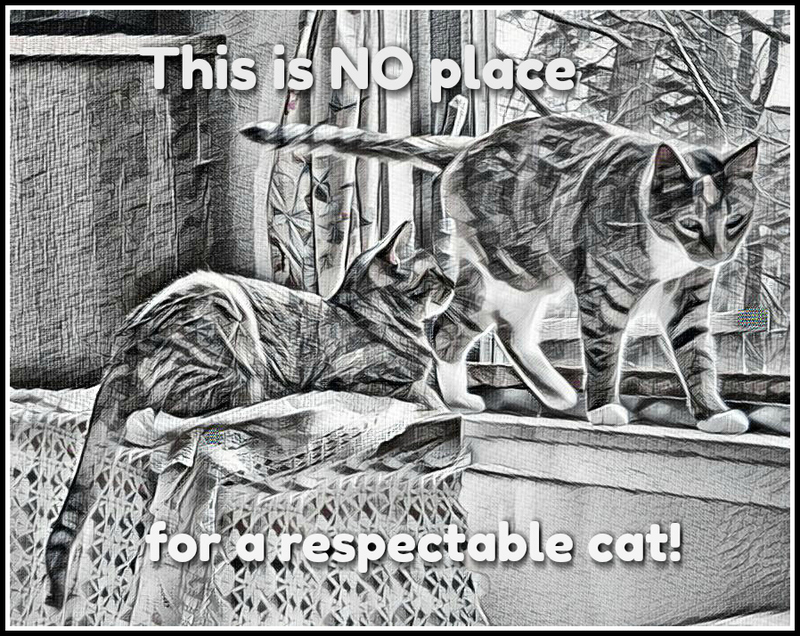 Today we're joining Marie and Athena's Caturday Art hop using Lunapic's Escher black & white effect. Fun! But we want to be peachy again. Well, we have decided to make the BEST of the labor day weekend at THE BEACH as summer time is almost over! 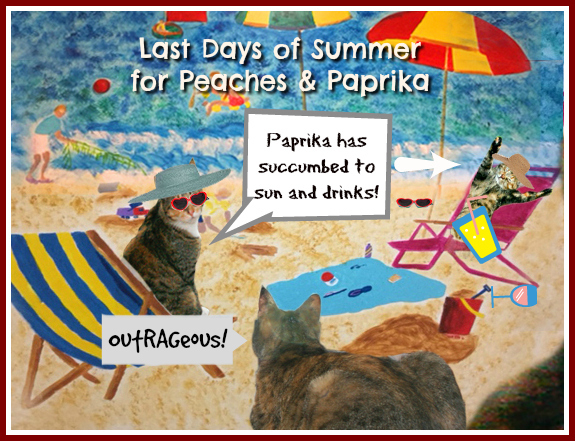 I finally persuaded Paprika to enjoy it with me! 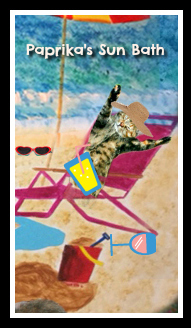 We are joining Caturday Art Saturday and Cat on My Head's Sunday hop to enjoy it! 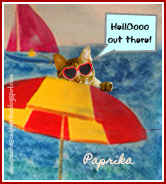 Paprika getting into the spirit at last while I try on yet another pair of sunglasses! 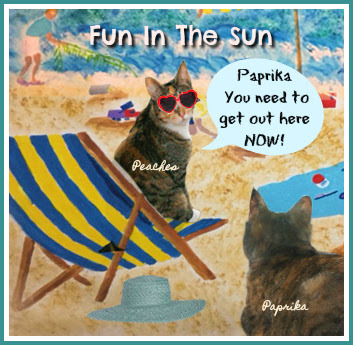 Paprika apparently went way overboard about the whole beach experience. The things I have to put up with! Here she is, feeling no pain! 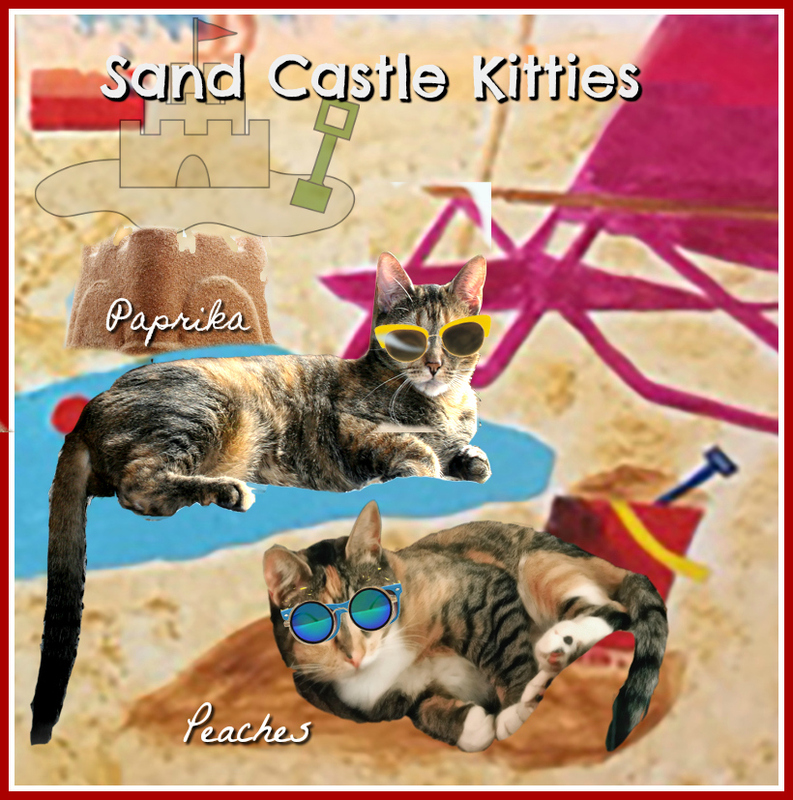 We had a blast playing with sandcastles. That activity is MADE for cats!